St. Isaac’s Cathedral St. Petersburg was built in 1858 and became the main Orthodox Church of Russia in the 19th century. 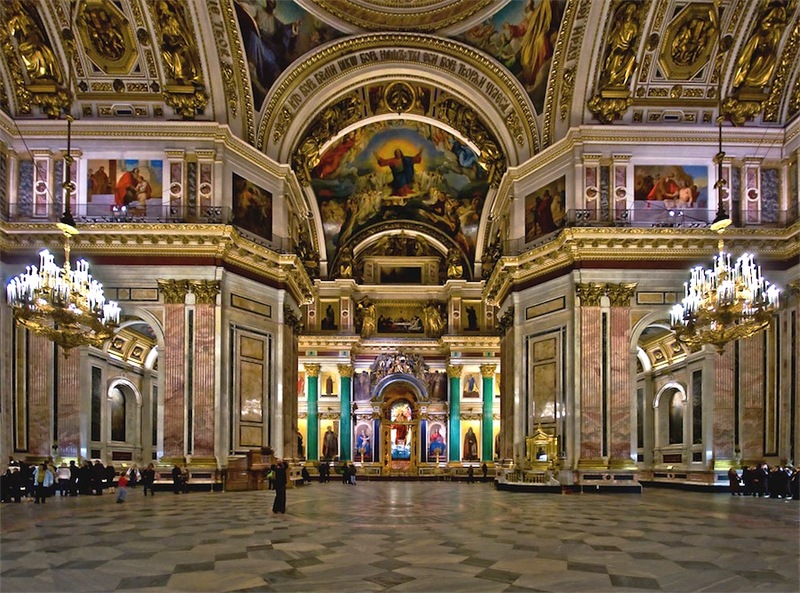 Visit St. Isaac’s Cathedral as part of our St. Petersburg tour! 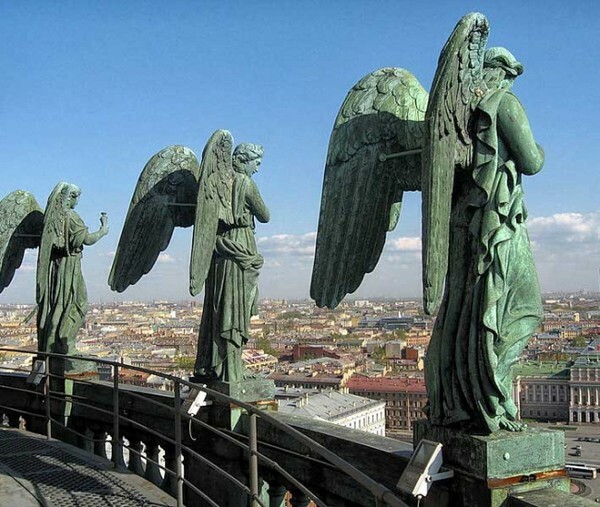 Thus, with our competent and friendly guide you will learn exciting historic facts and discover architectural peculiarities of St. Isaac’s cathedral while admiring its stunning exterior and interior. 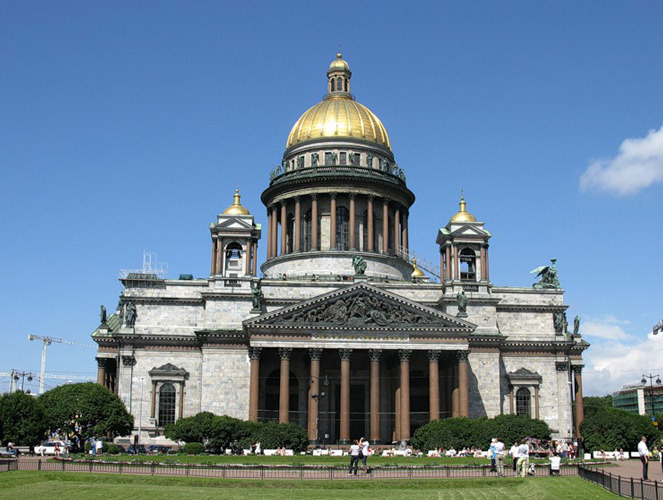 When Tsar Alexander the First (1777-1825) announced an architectural competition for the creation of St.Isaac’s Cathedral St. Petersburg, an unknown young French architect Auguste Montferrand submitted 24 different designs, all presented as individual entries in elaborate separate velvet folders, one of which was selected as the winner. 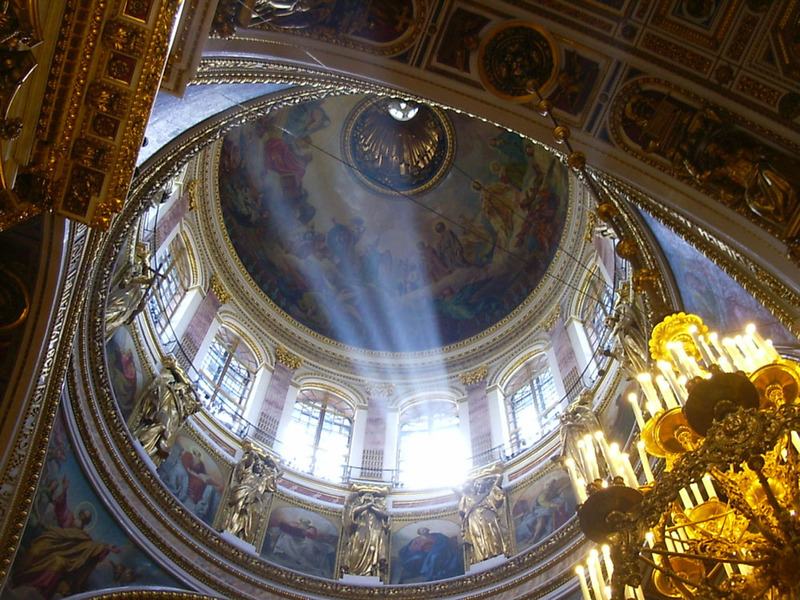 The construction of St. Isaac’s Cathedral St. Petersburg lasted for 40 years, and before the church was completed in 1858, Alexander’s brother, Nikolai the First (1796-1855), had become the Tsar. There were numerous fundamental mistakes made by the architect, and it is said that the Tsar also interfered with his ideas and demands. However, the final result still remains one of the largest and most beautiful places of worship in the world. The first impression from the outside reveals a huge cathedral in humble and dull, grayish-brownish hues flanked by massively impressive red granite pillars and a large gilded cupola. Thus St. Isaac’s Cathedral St. Petersburg differs totally from traditional Russian church architecture, which, since medieval times, has always used famously colorful onion-shaped domes topped with crosses. However, the impression totally changes inside as the visitor is surrounded by bright colors. A total of 43 different metal, minerals, precious and semi-precious stones, all of different colors, were used for the interior decoration. The most impressive detail is naturally the incredibly beautiful altar with a huge stained-glass window, icons and decorative pillars, and ornaments covered with gold, green malachite and blue lapis lazuli. There are 382 statues, paintings, mosaics, and other works of art inside, and space for 14000 worshippers. 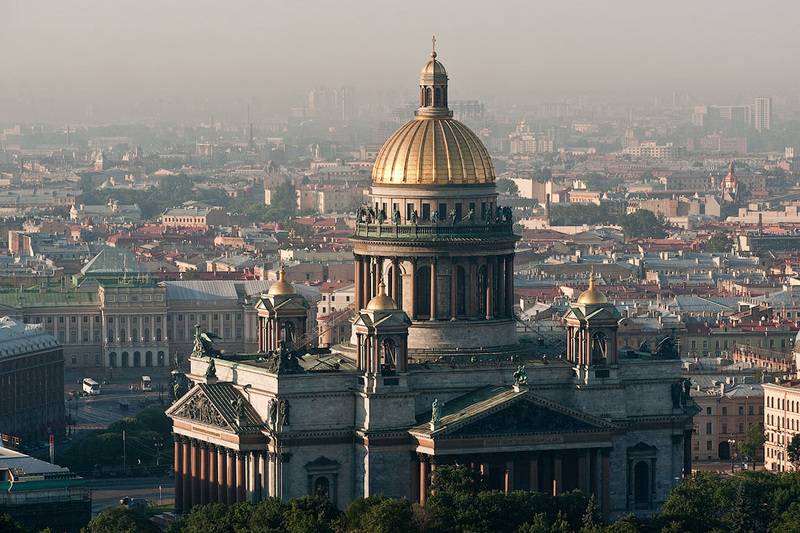 Visit St. Isaac’s Cathedral during our St. Perersburg tour - this will definitely enrich your cultural experience: St. Isaac’s is of great significance in both Russia and Europe.